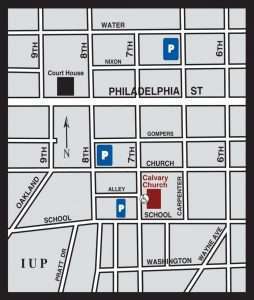 Calvary Presbyterian Church is located in the heart of downtown Indiana. 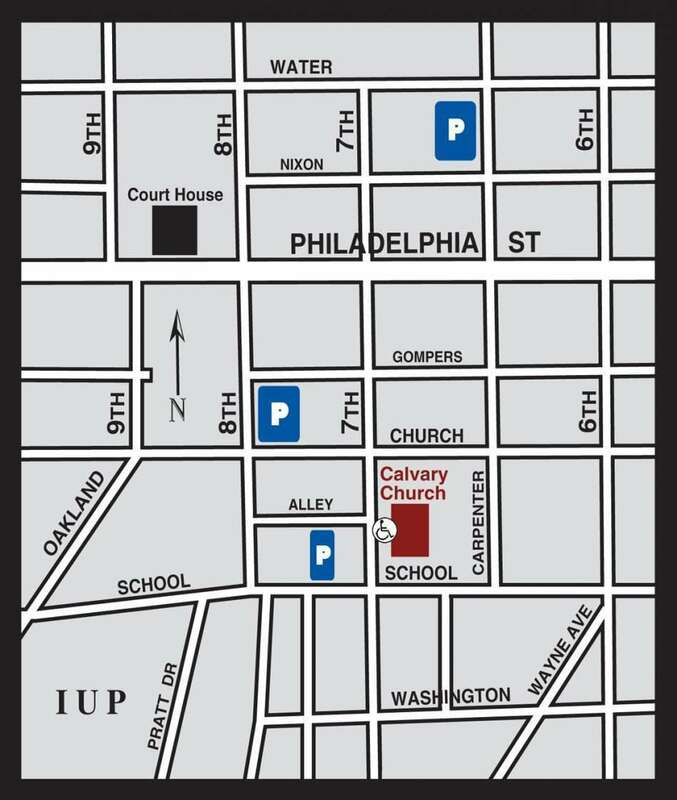 The borough provides free parking at all metered locations on Sundays and other locations are listed on the parking map below. Parking: Dr. Coppolo has given permission for the use of his parking lot on Sundays. The lot is located off School Street, just west of the intersection with Seventh Street. The Indiana Borough Parking Garage is locate at 650 Water Street.